In an open concept floor plan, a family room can sometimes feel formal. We wanted to give our clients a classy but comfortable look that didn’t feel too unapproachable for the space. So, we styled this space in the home with our favorites from our shop SYD+SAM . 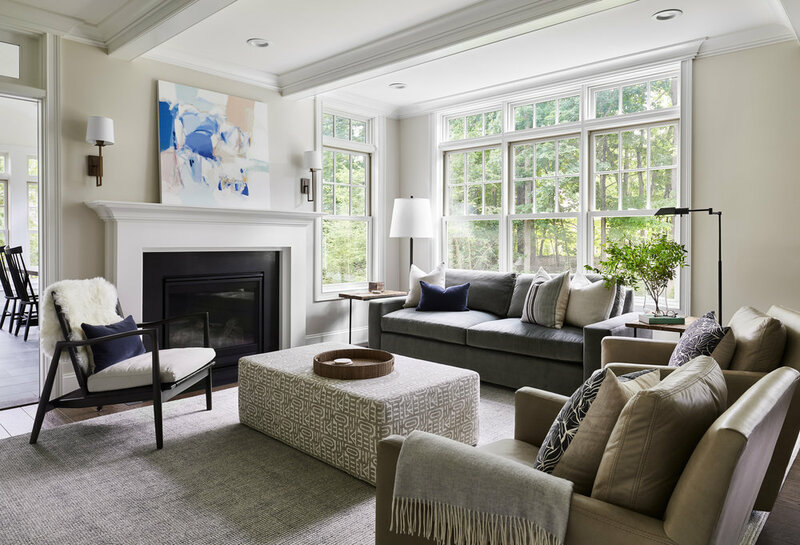 For a light and airy family room, we wanted to give this space some mature pieces that offered a subtle style that was also family friendly. Our clients are a young family with young kids so a custom upholstered ottoman was the right call for their needs. Below, we’ve style it was the awesome natalie coffee table from SYD+SAM. Take a look below for a quick and easy way to get this awesome family room look.